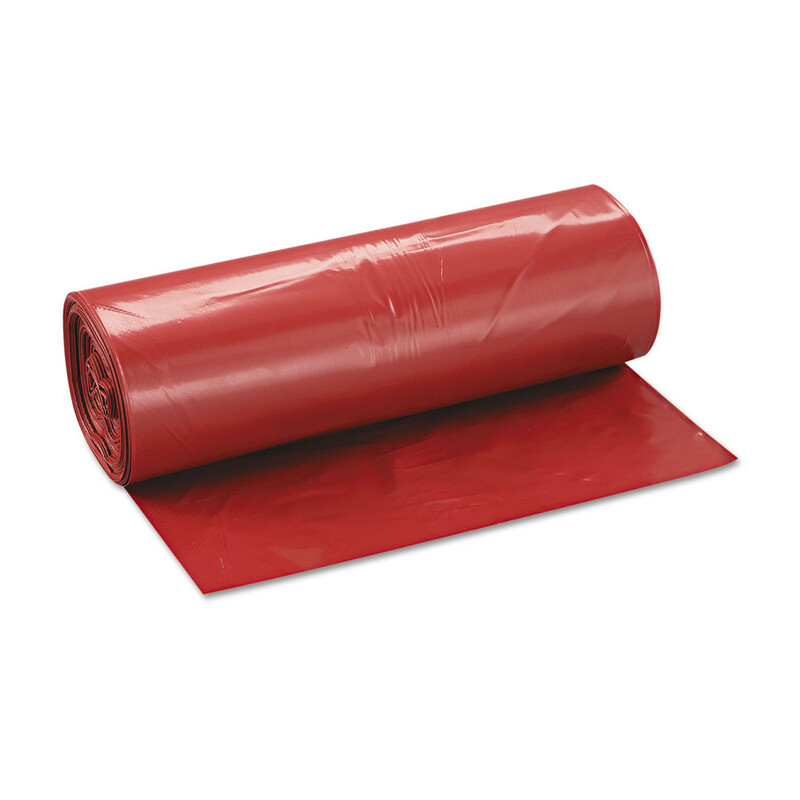 Institutional linear low-density bags provide excellent resistance to punctures and tearing. Employs star-sealed bottom for even weight distribution. Coreless interleaved rolls provide easy dispensing. Prime resins used for superior quality. Application: Can Liner; Capacity Range (Volume) [Max]: 45 gal; Capacity Range (Volume) [Min]: 40 gal; Thickness: 1.3 mil.